Gaiwan of glass made in China. A Gaiwan is in China used for making tea in. The Gaiwan consist of a cup, a lid and a saucer. 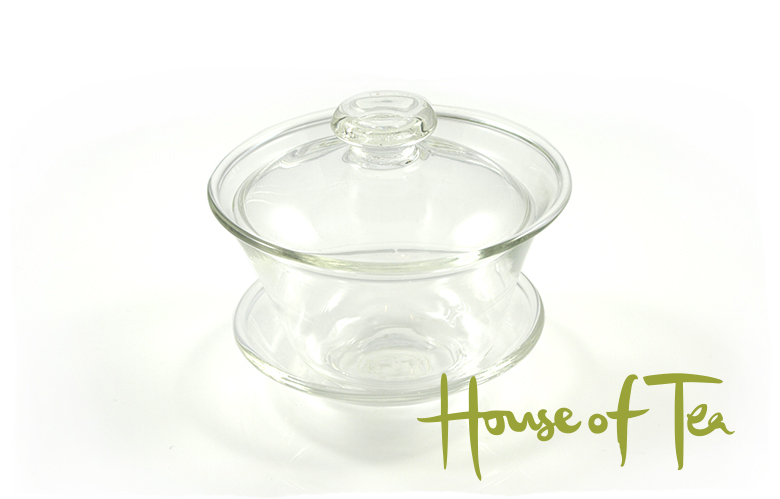 Dimensions:The Gaiwan is about 6 cm high and 9 cm wide, with a volume of 100 ml.